When in Tasmania why not check out some of the state’s eeriest and most exhilarating locations and tours. From the lost towns of the boom and bust mining era to mysterious ruins and professional ghost tours at popular tourist destinations, Tasmania has much to offer the intrepid adventurer. Pictured above, the Bird River bridge leads into the deserted town of Pillinger, once a bustling port. Now, the forest has reclaimed the land. A hub of wharves, a saw mill, brickworks and a shipping terminus saw the population of once thriving Pillinger soar once the railway was built. 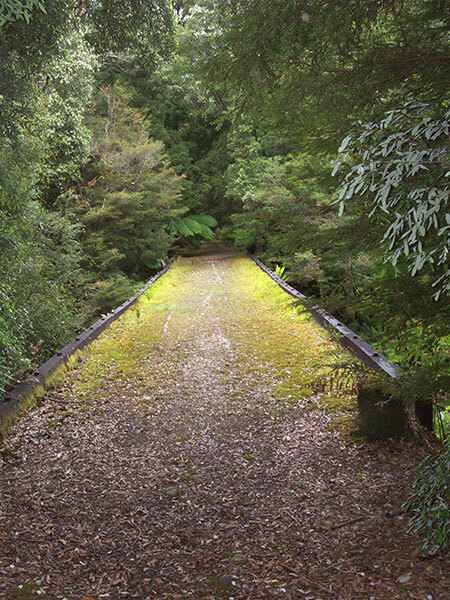 Today, the adventurous can visit the ruins of East Pillinger by taking a four-hour return walk along the railway and river. The walk starts at Kelly Basin Road which lies south of Lynchford. 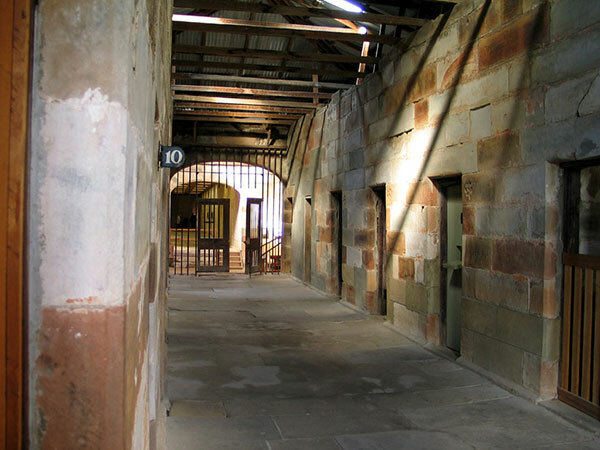 Trace the ghostly footprints of convicts, bushrangers, whalers, sailors, barmaids, prostitutes, cannibals and criminals from Tasmania’s storied history. Explore the haunted sites of Hobart and Battery Point on a tour with experienced paranormal investigators. Explore the backstreets of Battery Point, this charming historic waterfront suburb hides many tales. The legendary past comes to life when exploring the historic old CBD. Discover secrets and explore buildings and ruins said to be haunted to this day. It’s rare that a town suffers such ill luck. In October 1912 the thriving town of Gormanston in western Tasmania was struck by one of Australia’s worst mining disasters. 42 men were killed and 100 more trapped by a fire in the Mount Lyell copper mine. The town, once home to 2000 folk never recovered. In 1951 gale-force winds destroyed the town’s school, the fire station and many homes. In 2013 Gormanston only had six residents. 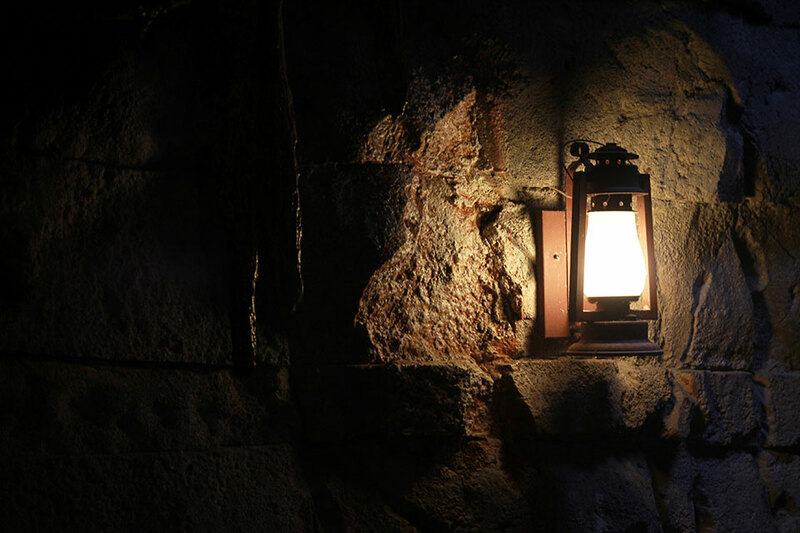 Join a lantern lit walking tour by night and see how the charming Port Arthur can be a very different place once the sun goes down. Pictured above, the separate prison as the sun is setting. Mystery and intrigue abound, are there ghosts, what is real and what is myth? The silence of the night and the soft glow of the lanterns as they fight back shadows can make those who are long gone seem very close to hand. Take pathways through the darkened ruins and experience the rich storytelling of the enthusiastic tour operators. Learn about the peculiar and baffling occurrences that make the stories of Port Arthur so fascinating.